My bunny bookmark is a fun and easy beginner friendly ITH (in the hoop) embroidery project. If you have an embroidery machine but have yet to try an in the hoop project I think this is the perfect project to start off with. 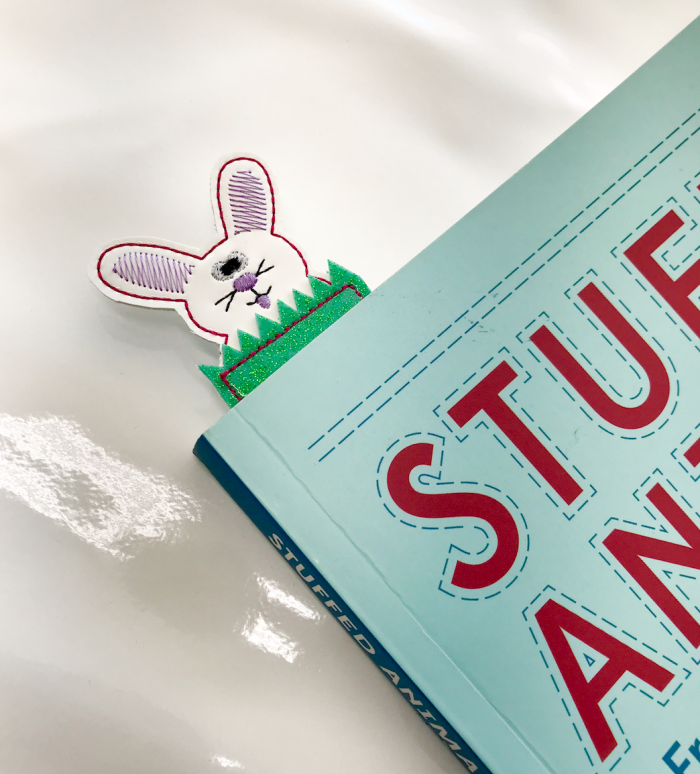 This cute little bookmark would make a great gift for any reader and is just what you need for a last minute basket stuffer for Easter! If you give this project a try, leave me a comment and let me know your thoughts! You can also post pictures on my Facebook page. I love to see your creations! • White & green fabric that doesn’t fray. I designed this to be made with felt and/or vinyl. 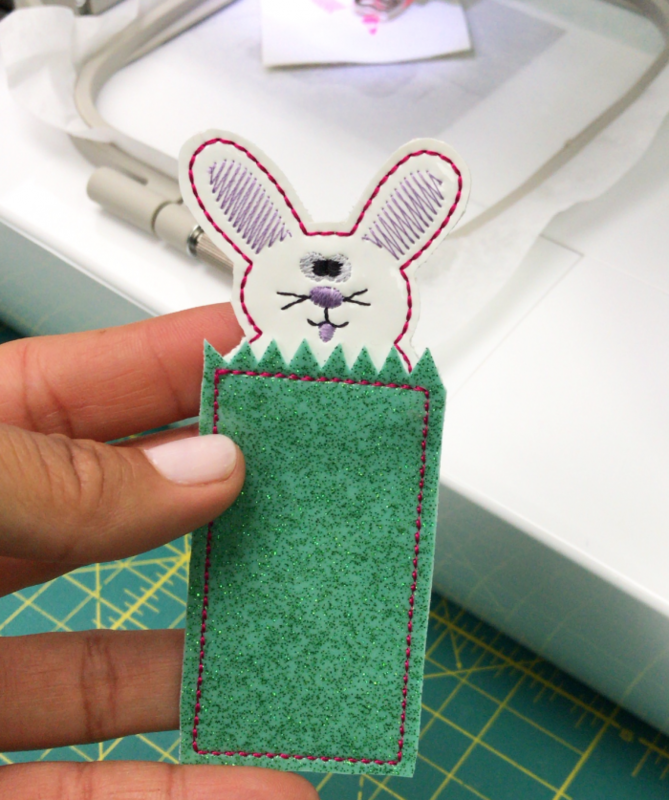 Below you will find the FREE step-by-step video tutorial where I teach you how to make my bunny bookmark. If you don’t see the video below click HERE. Like what you see and want to check out more machine embroidery tutorials? Click here. p.s.- Don’t forget to subscribe to my YouTube channel. It’s FREE. This will ensure you don’t miss out on any of my free video tutorials. I wish I lived near you and could take your classes. You do such a great job of teaching in all of your videos-thanks. Love that your getting back into embroidery machine. I have a 4×4 hoop,so looking forward to this project.